All sessions start strictly on time and run for a total 55-minutes. Sessions are instructed in English. All mats and equipment are happily provided by the studio for both indoor and outdoor sessions. Whether you’re booked in for a private or group mat session, expect a full mind and body challenge. No session is ever the same. At the end of each session, clients are kindly asked to spray off and wipe down their own equipment. What do I need to know about the outdoor sessions? What must I wear to my Pilates session? Wear comfy gym clothing, preferably no zips or buttons as these can damage the mats/apparatus. Take off your shoes at the door. For hygiene reasons, socks are compulsory in the studio and on the apparatus. Socks can be rented and cleaned for €2/pair. Bring along a water bottle and sweat towel. Ladies, please tie up your hair and remove any dangly jewellery. CREW Pilates uses MINDBODY software for all scheduling, booking, accounts and cancellations. Payment is due at the start of your session paid directly to the instructor. Four-card purchases last 60-days from date of purchase. Kindly note that four-cards will not be extended and sessions cannot be transferred or refunded. We happily accept cash, check or electronic transfer. No credit cards payments from March 2019. Invoices are granted on request. More information: visit schedule & bookings and updated price list on our website. How does payment by check and credit card work? Can I make an account payment? Account payments are currently unavailable. We understand life gets busy but we also ask that you respect our time. Sessions must be cancelled within 12-hours in order to avoid a late cancellation charge. Cancellations can be made on the MINDBODY software or by email. In the event of a late cancellation due to injury, a doctor’s note is required to avoid a late charge. Similarly, we try to give our clients 12-hours notice if sessions need to be cancelled or re-arranged. Private/duo clients will be awarded a complimentary session in the unlikely event theirs in cancelled at the last minute. Group mat sessions require a minimum of 3 clients on the mats in order to go ahead. What if I arrive late to a session? Group mat sessions will always start strictly on time. If you are late, please come in quietly without disrupting the other clients. Where possible, private clients will be given the option of extending their session at an extra charge of €30/30-minutes or part thereof. I am a new client to the studio. What do I need to know? This is a case of preference, budget and what you set out to achieve. Both mat and apparatus training are effective and follow the guiding principles of Pilates. In our mat sessions, CREW Pilates offers a balanced mix of strengthening and stretching exercises, regularly making use of smaller equipment like therabands, magic circles, leg weights and foam rollers. The studio accepts no more than eight (8) clients on the mats at a time to ensure training is of the highest quality. 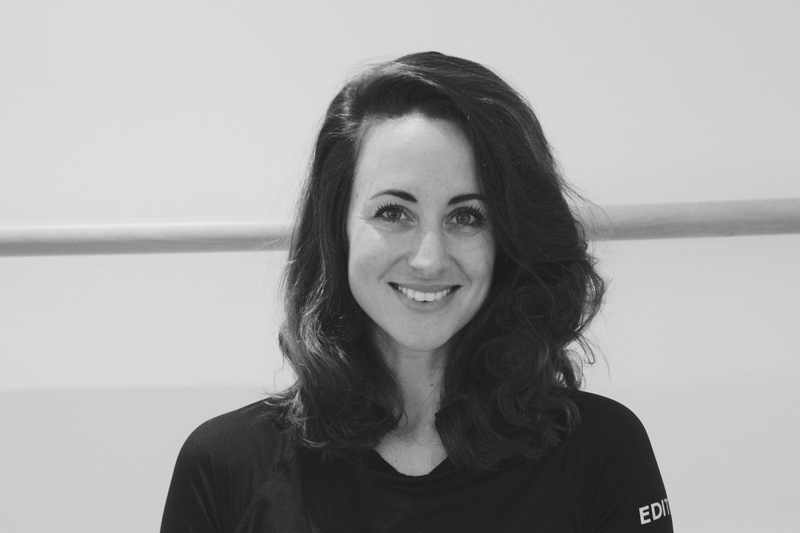 Unless specified otherwise, clients who attend the group mat sessions need to be pain free during movement, without injury and of an intermediate level in Pilates. It is highly recommended clients attend at least two (2) private sessions before moving into the group mat sessions. Private training on the machines is more tailored to client goals and ability. Private clients of the studio include: specialist athletes (trail runners, cyclists, triathletes, skiers), pre- and post-pregnancy, those returning from injury and older populations. These sessions include work with the Pilates apparatus including the reformer, wunda chair, springboard and ladder barrel. Unfortunately, we don’t offer group sessions on the apparatus. This is deliberate as we aim to keep our sessions small and tailored to client needs, goals and injuries. How do duo sessions work? CREW Pilates happily offers duo sessions to couples, friends and clients of similar experience. Great news! From August 2018, the studio has two reformers on offer which make our duo sessions more comfortable. The start of your session may be on the mat for clients to become familiar with the teacher’s style of training and for the teacher to assess where each client is at. After this initial assessment, it may be suggested that duo clients go into private training. Duo sessions on the apparatus require some level of experience and clients may have to change their own springs. For clients who have come to Pilates through injury or otherwise, private sessions are highly recommended. Injured or pre- and 6-months post-natal clients require a letter from their medical practitioner before starting at the studio. Please note: Pilates practitioners are not qualified to diagnose injuries, read x-rays or medical documents or prescribe exercises for injury. This is reserved for medical practitioners only. Our job is to encourage functional movement, share ideas that can be applied in everyday life and help prevent injury. CREW Pilates is always happy to recommend and work alongside great physiotherapists, osteopaths and specialist doctors in the area. How do the full moon sessions work? Can I bring my newborn/baby to my session? Are dogs allowed at The Studio? We love animals but sadly, we do not allow dogs or animals in our studio. What facilities are on offer at The Studio? The Studio offers an inviting 75 metre square space to play. The studio is fully equipped for Pilates practice with 1 Allegro 2 Reformer, 1 Allegro 2 Reformer/Trapeze Table, 1 Combo Chair, 1 Ladder Barrel, 1 Clara Step Barrel and 1 Springboard. All mats are high quality 1.5cm thick Sissel mats. There are also regular ballet fit and yoga sessions on offer with other instructors. Our studio facilities include a change room, bathroom/shower and kitchen stocked with a variety of teas, coffees and water. We are passionate about providing our clients with the highest level of service. Can I hire The Studio for my event? At CREW Pilates and The Studio we are aware of the EU General Data Protection Regulation (GDPR) and changes coming into force on 25 May 2018. Clients can be ensured that we will do all we can as a small business to protect their private and sensitive information both on and offline. Please visit our social media platforms and website and make us aware of any photographs or information about yourself that you would prefer to be deleted. More information: the EU General Data Protection Regulation website. What is the philosophy at the CREW Pilates Studio? Our philosophy is to promote quality, functional movement and wellness that can be applied to your everyday life. The Studio is also proud to support all areas of the yachting industry including crew, shore-based professionals and yacht/villa guests. There is always a positive, can-do atmosphere in the studio. Negative people, nonsense and rude behaviour are simply not tolerated.